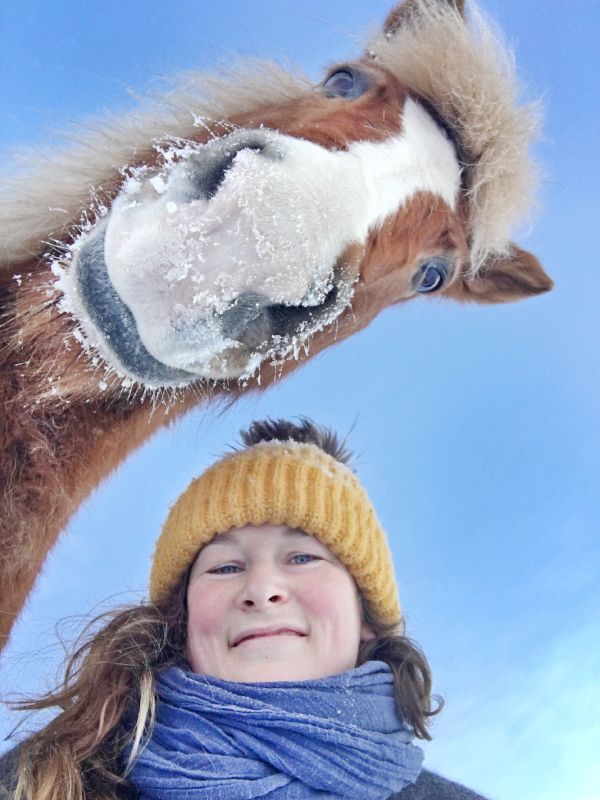 During summer and autumn 2014 and 2015 I spent altogether 6 months living in my tent on an island with a herd of Finnhorses as my neighbors. The herd roamed free in the 80 hectares island situated in the Arctic Circle in Finnish Lapland. The island consisted of two separate parts and the horses swam independently between these islands. We shared the morning coffee, daytime naps around the campfire and fullmoon moments in the river. Their days were spent mostly grazing, little bit sleep and hanging around the smoky campfire, an ancient bug repellent. If the fire went down, they came to ask to put it on again! I also got to witness the midnight sun in the summer and the northern lights in the autumn. It truly was the most magical experience of my life. 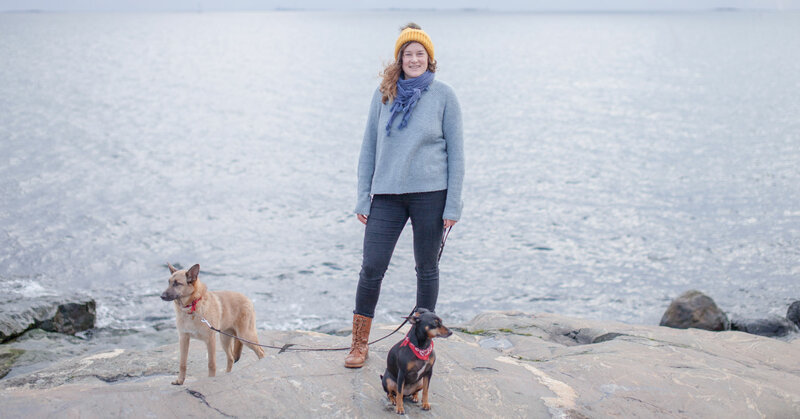 I spent 6 months living in my tent on an island with a herd of Finnhorses as my neighbors. The herd roamed free in the 80 hectares island situated in the Arctic Circle in Finnish Lapland. The island consisted of two separate parts and the horses swam independently between these islands. We shared the morning coffee, daytime naps around the campfire and fullmoon moments in the river. Their days were spent mostly grazing, little bit sleep and hanging around the smoky campfire, an ancient bug repellent. If the fire went down, they came to ask to put it on again! I also got to witness the midnight sun in the summer and the northern lights in the autumn. It truly was the most magical experience of my life. I build a home on wheels and have traveled through 17 countries in my van with my beloved dogs. We've bathed in hot springs in the shade of snow-peaked mountains and fallen asleep in the peaceful fanfare of waves hitting the endless shores. Portraits with love - of You, for You. Your most faithful friend deserves a place on your wall as he has the hold of your heart. Hi! I'm Minna Kulmala, a photographer and web designer from Finland. I'm known for my funny laughter, colorful personality and following my own path. On my freetime you can find me wondering in the woods with my rescue dogs Chaos (#ninjachaos) and Kaino (#kainokulmala), reminiscing my most beloved dog friend Rebel (#rebelthephilosopherdog), fetching my mail on horseback, chopping firewood outside my little cabin or working on some DIY projects. Part of the year I travel around Europe in a self-built van (#ontheroadmk). I love discovering new places, eating a lunch on top of a mountain and staring at a campfire. My strengths as a photographer are the ability to create a relaxed atmosphere and my clients have thanked me for the easy, genuine and empowering experience. For me it's important that my shoots are fun for all involved, humans and animals. I do photoshoots mainly in Helsinki area in Finland and web design around the globe. My strengths as a photographer are the ability to create a relaxed atmosphere and my clients have thanked me for the easy, genuine and empowering experience. For me it's important that my shoots are fun for all involved, humans and animals! I do photoshoots mainly in Helsinki area in Finland and web design around the globe.